Argentina is a dynamic and unique country and is considered as the land of wonders be it natural or man-made. There are many places which will amaze you such as glaciers and sky scraping peaks of the Andes, the bustle of Buenos Aires and vineyards of Mendoza. To be in the list of some of the popular destinations as tourists places, Argentina has some remarkable places to visit. There is the largest waterfall, the highest peak in the Americas and travelers can find beautiful sceneries anywhere. Argentina is quite variable when it comes to tourist attractions, therefore, the visitors keep on coming here again and again. Often covered with snow capped route, Volcan Lanin between Argentina and Chile, is a volcano popular amongst hikers and rock climbers. Those who wish to visit must take permission from the Lanin national park office. They need to show proof of supplies and then trek to the peak. Visitors also sometimes take a short walk of about an hour to the Volcan Lanin’s Cara Norte. This has a view of the lake Lago Tromen and also the forest surrounding it. In the Valles Calchaques region, a huge valley is established made up of unusual rock formations from Sandstone having bold colors. It is known as Quebrada de Cafayate. To create picture perfet, there are Sierras de Carahuasi as a backdrop, giving a bold contrast. El Obelisco (iconic monolith), Los Castillos (rock formation castles) and the chalk quarry are the landmarks which you can look for. The chalk quarry also known as El Fraile is an unusual rock formation. The tours along the Rio de las Conchas are well organized, it takes you to the gorge and then to the heart of the valley. Buenos Aires is the city of Tigre. It serves as a center for the surrounding estuary. 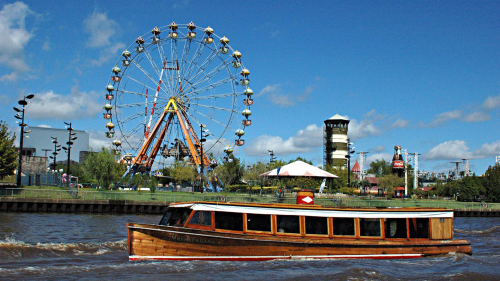 The real tourist attraction of the city is to escape Tigre and exploring the river delta by a boat. The city also have some all-embracing museums, lively markets and variety of shops. You can choose to either book a guided tour or just go with the local water taxis. While on the floating means of transport you get an experience of watching some local homes along the canals and there are many floating vendors as well who trade in the river itself. Buenos Aires is also popular destination for Recoleta Cemetery, which dates back to early 18th century. It includes nearly 5,000 crypts. The flourished architectural features of the Recoleta Cemetery consists of Doric columns, mausoleums and countless statues. The tombs are made in remembrance of people from political or cultural note of the last two centuries. Most important archeological and paleontological sites of the country is Talampaya National Park situated in La Rioja Province. Dinosaurs used to roam in this region around 250 years ago, confirmed by the fossil remains found there. The wonderful tourists’ attractions include the dry bed of the Talampaya River, the rich red of the valley, the splendid sceneries and the extraordinarily shaped rocks. 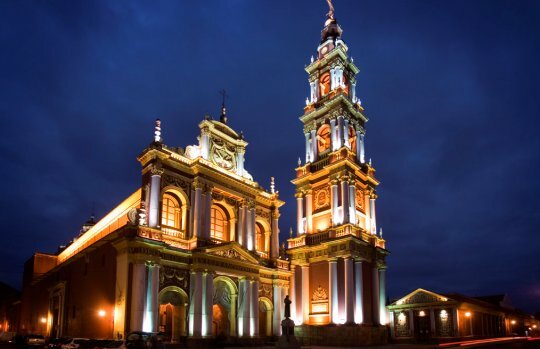 The most impressive colonial structures of Salta is the Iglesia San Francisco which is known for its white pillars and multi-tiered tower, lightened in the night. This popular attraction in Argentina is an architectural landmark for its church’s interior have domed ceiling and archival library. 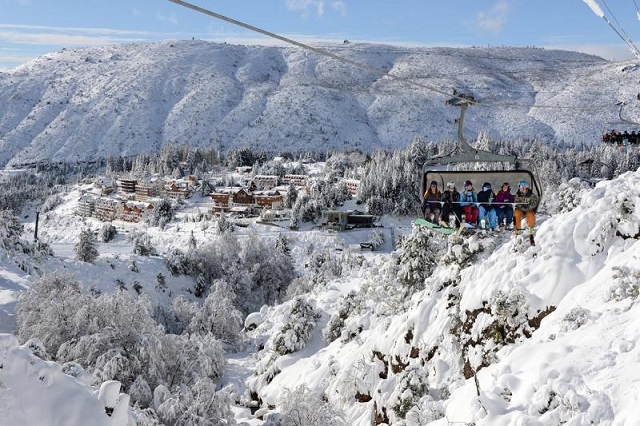 Yet another popular attraction is Cerro Catedral in South America, a well-established ski resort. It is situated in the Lake District near San Carlos de Bariloche. It is a tourist attraction full of adventurous sports like challenging terrain, snowboarding, and ski festivals. People also love to visit the resort during offseason to tame the terrain and also take the amazing mountain views. The country’s top beach resort is the Mar del Plata. It was once a retreat for Argentina’s aristocracy located on the Atlantic Coast. The lively culture and the sandy beaches makes it a top tourist attraction. The city is much more relaxed in non-summer months than the summer weekends when it is fully packed. It is a popular attraction for the ones who appreciate art or history, having a collection of prehistoric cave paintings which were made 9,000 years ago. It includes some iconic stenciled outlines of overlapping hands as well as painted hunting scenes and symbolic pictographs. One of the world’s Seven Summits, Aconcagua is the highest mountain in the Andes. 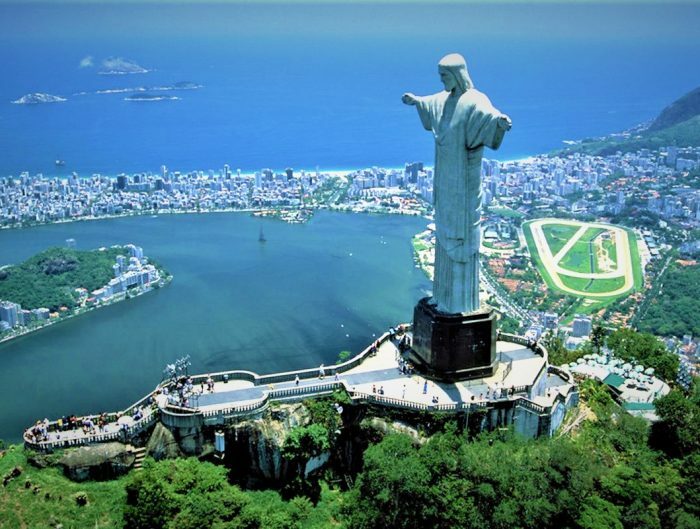 It is an exceptional tourist attraction for its immense height and accessible climb. The climbers reach the summit without using any ropes or technical equipment. It is surrounded by glaciers and Mendoza’s Aconcagua Provincial Park. Quebrada de Humahuaca is another tourist attraction situated between the Andes and Valles Templados. It has a desert like atmosphere consisting of cacti, lamas and colorful sandstones. Street Tango is amongst the popular attractions in Buenos Aires where someone is always performing Tango on the street. Many tourists find it fascinating as the crowd gathers, the dancers put on their show while the music is played. Ushuaia is now a major tourist attraction in Argentina while it has a missionary base. It is located on the Beagle Channel. It is mostly used for hiking and cruises to Antarctica. After the Pantanal in Brazil, Ibera Wetlands are the second largest wetlands. It is home to many animals such as anacondas, capybaras, and more than 350 rare and endangered bird species. It is mostly explored by foot or on horseback. Mendoza Wine regions are located in the eastern foothills of the Andes. It is considered amongst some of the highest altitudes in the world. Being the heart of the winemaking industry, it’s a great place for skiing and adventures in the Andes. Monte Fitz Roy is the granite mountain which is situated in southern Patagonia. It is surrounded by glacial lakes and ice fields. The mountain was first climbed by French alpinists Guido Magnone and Lionel Terray in 1952. It is one of the iconic points as the terrain and rock faces are loved by the photographers for their beauty and the challenge for the mountain climbers. Staying on an Estancia has become popular attraction amongst the day-trippers. The visitors usually go for a horse ride after the breakfast, come back for a barbecue and then a quick hammock siesta before they get in to their trails. Along with the Straits of Magellan to the north and the open ocean Drake Passage to the south, the Beagle Channel in the extreme south of Argentina is the third navigable passage. It is a strait in the Tierra del Fuego Archipelago. It is best visible via boat trip, with some other tourist attractions – the sea-lion colony and Isla de Pajaros. One of the popular attractions is the Valdes Peninsula for viewing endemic wildlife. Visitors can see a variety of marine mammals, depending on the time of visit. Whales are usually seen between May and December and are located between the Valdes Peninsula and the Patagonian mainland. It is that tourist attraction which appeals the photographers as it is filled with colorful cafes, shops, houses and statues. It is located in the La Boca and celebrates the arrival of Italian immigrants in the 1800s. The place feels alive where music fills the air, tango dancers give their performances and artists sell their paintings. The best tourist attraction in Bariloche is the Route of the Seven Lakes, incredible for its beautiful sceneries. It is a drive of 105 km in total. One can also admire waterfalls and a walk to the foothills of the Andes Mountains. Located in the Los Glaciares National Park, it is one of the most lovable tourist attractions because of its size and accessibility. Though it takes two hours by bus from El Calafate, the most popular way to visit Perito Moreno Glacier is by boat. Near the borders of Paraguay and Brazil, Iguazu Falls is situated in the northeastern corner of the country. It is the crown jewel of Iguazu National Park and amongst the largest waterfalls in the world.